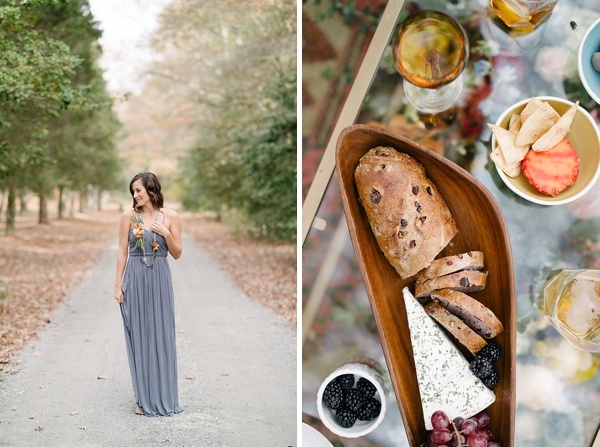 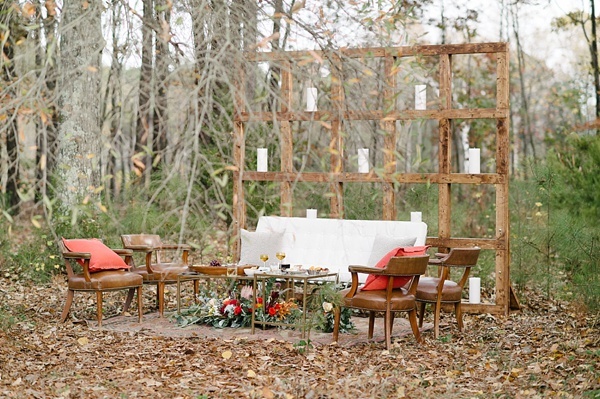 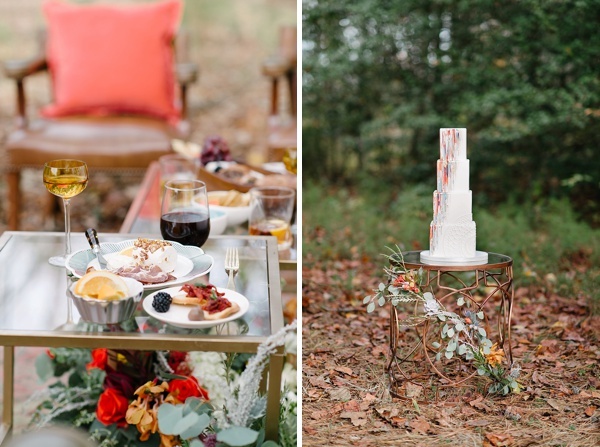 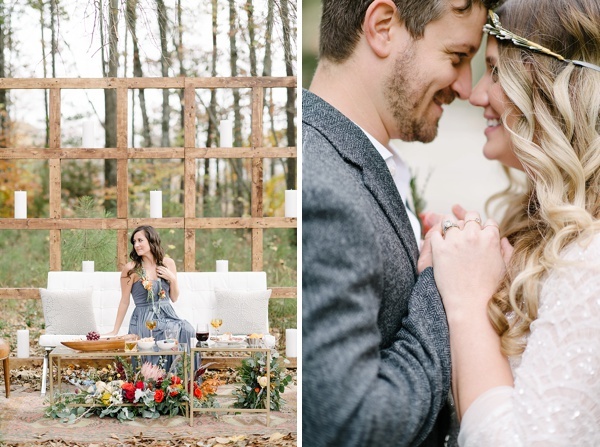 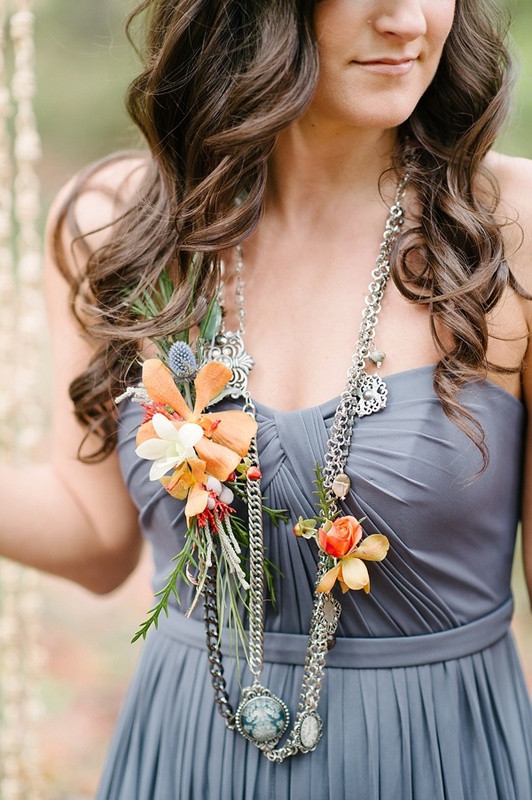 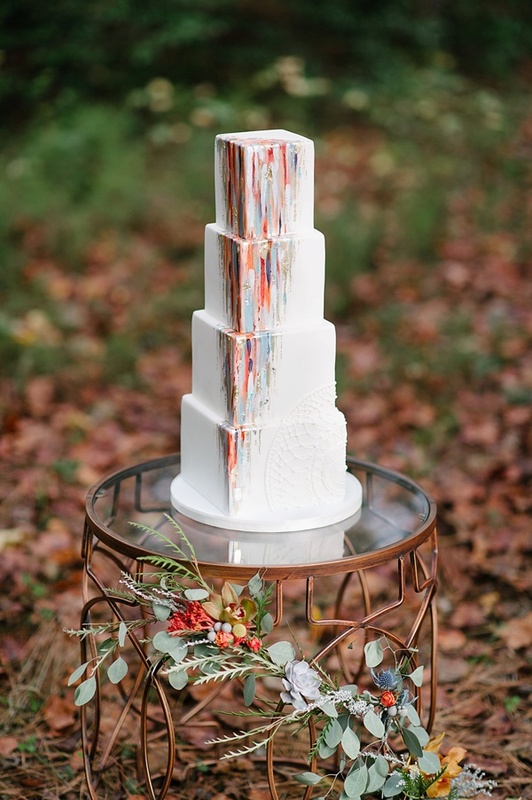 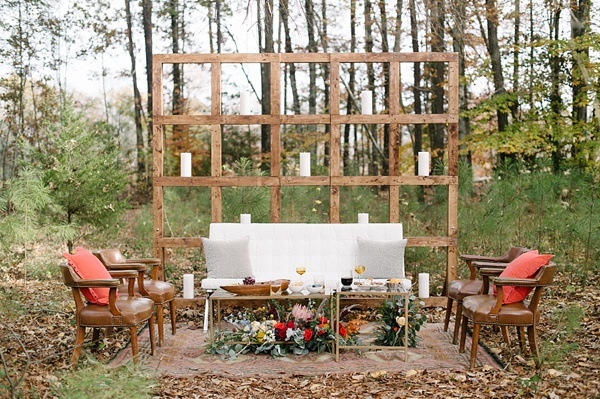 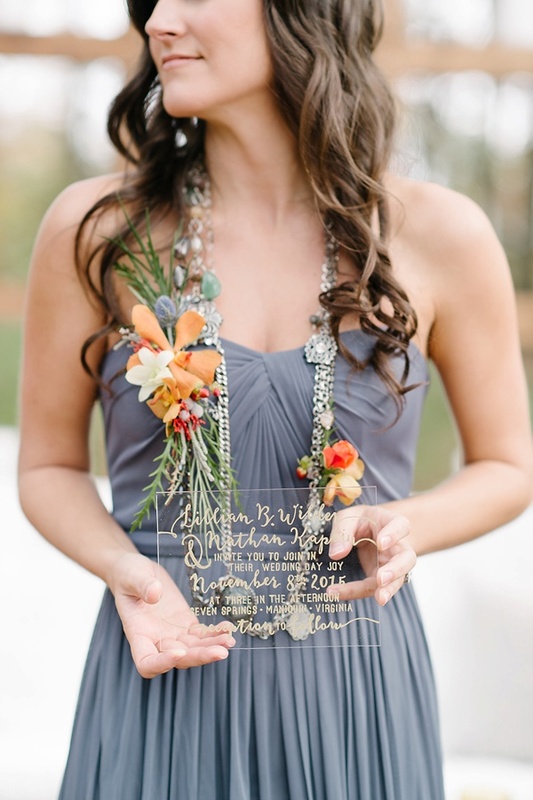 Free-spirited and embracing nature, the inspiration behind this beautiful Virginia shoot encompasses all that is bohemian, modern, and oh so chic. 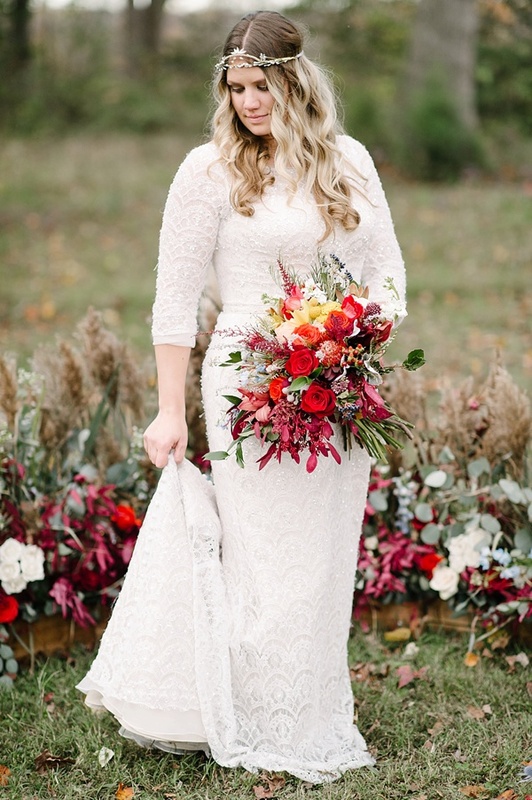 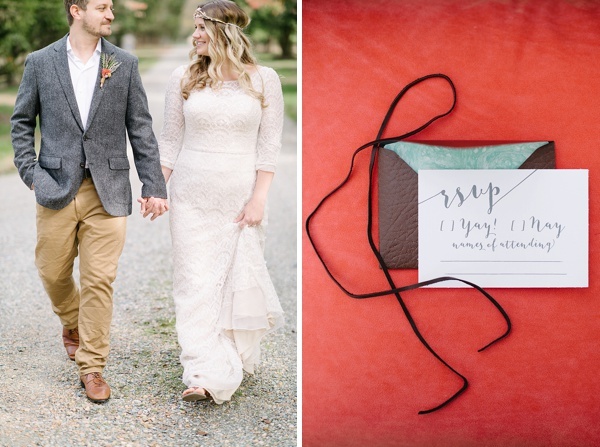 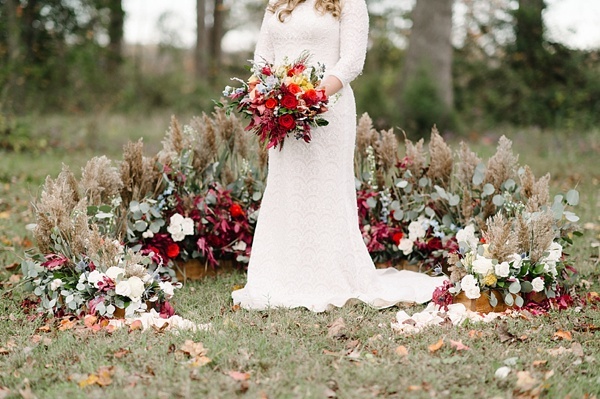 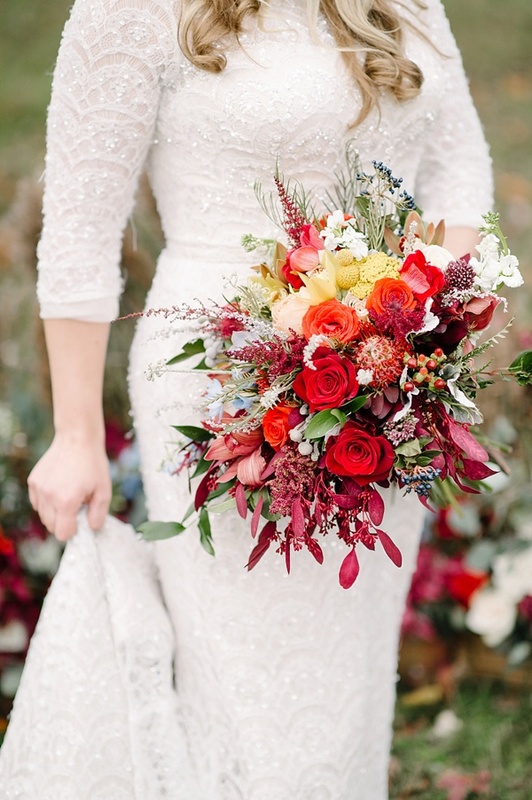 Bold oranges, sky blues, rich reds, and vibrant yellows make up its colorful palette which pairs perfectly with the soft neutrals of the wedding party's suits and gowns, especially the bride's three-quarter sleeved ivory lace gown! 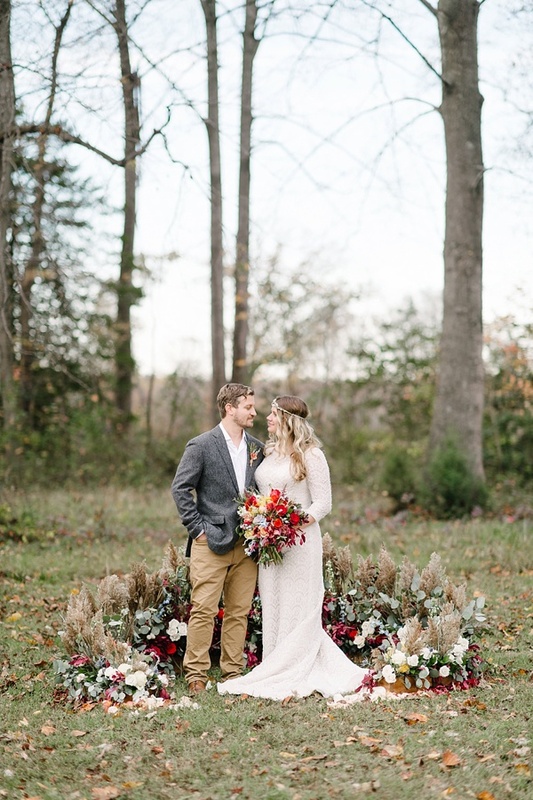 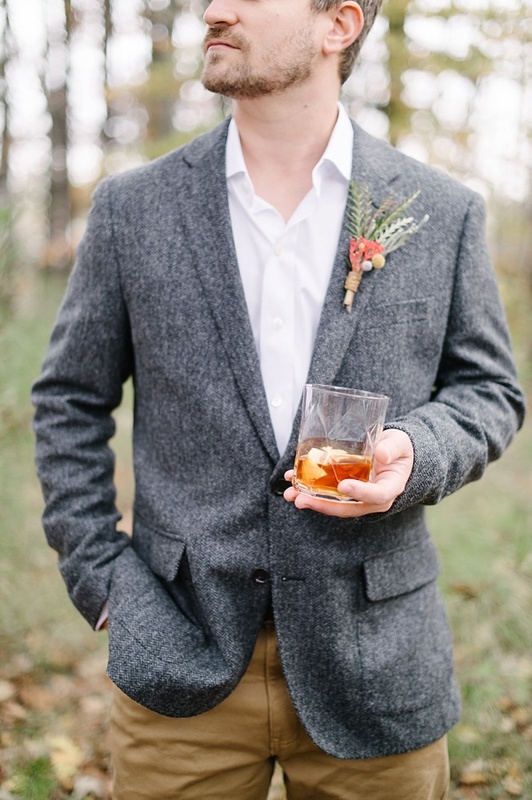 Conceptualized by Orchestrated Stylized Shoots and beautifully captured by Sarah Street Photography, Sunkissed Events and Palette of Petals tag-teamed to style this bohemian loveliness at Seven Springs in the Richmond area. 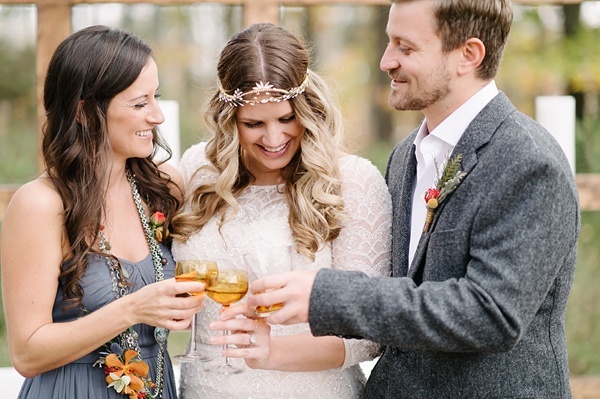 With a showstopper painted white tiered cake by Sweet Fix, loose and elegant hairstyles by Lou Steven's Glam Squad, a clear acrylic invitation with golden script by The Girl Tyler, and a stunner of a bridal headpiece designed by Olivia Headpieces, we fall more and more in love. 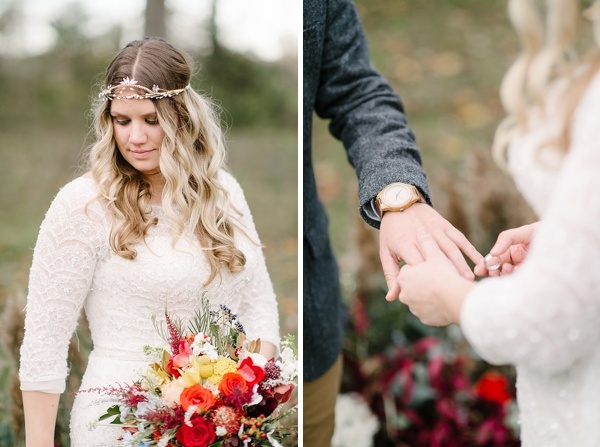 For the ceremony, a lush floral ceremony ring encircles the bride and groom as they exchange their vows. 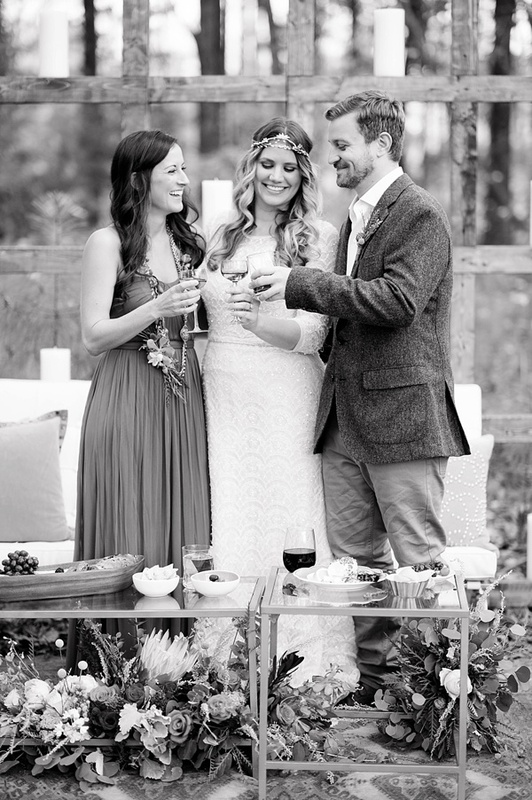 While later, guests would enjoy some gourmet sips and bites in the stylish contemporary lounge area as an alternate idea for an intimate reception. 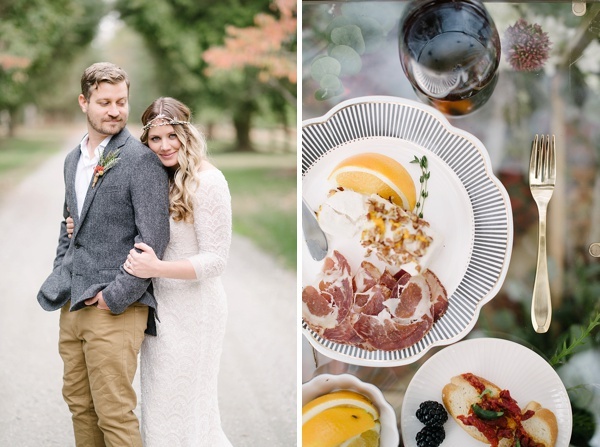 We have to give three cheers for this editorial shoot because these wedding ideas are absolutes for any couple looking to mix up traditional wedding elements into something completely sophisticated and different!